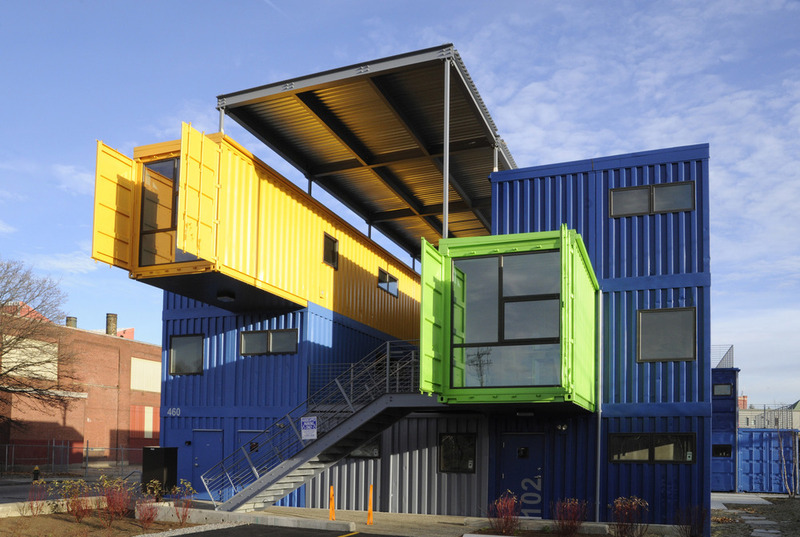 THe box office is collection of twelve small offices and studios constructed from up-cycled shipping containers. 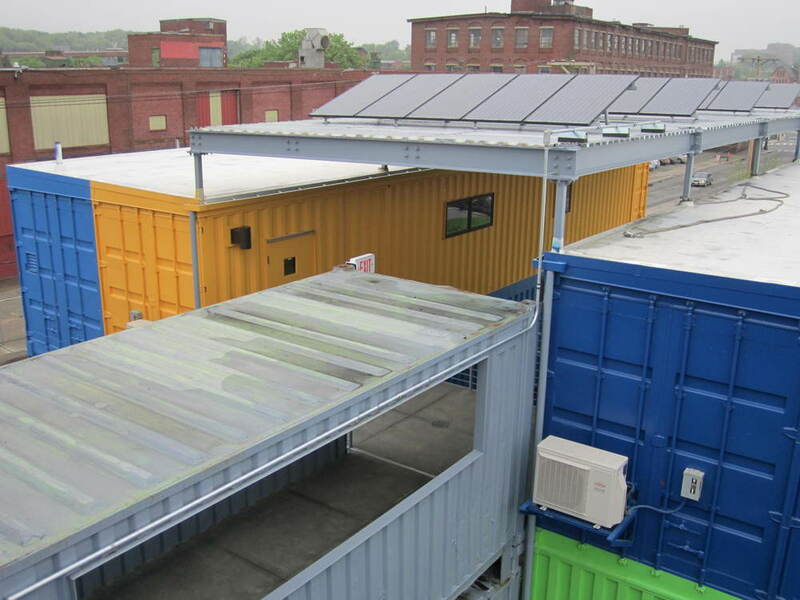 it is one of the largest container structures in the united states, one of the most energy efficient office buildings in the northeast, and caters specifically to entrepreneurs, small businesses, and start-ups. scroll down for additional information about our current community, leasing opportunities, and the story of the box office. 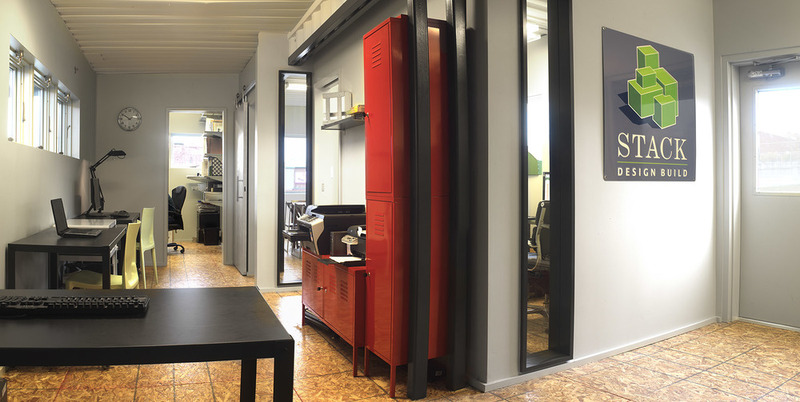 We're home to diverse, progressive group of designers, entrepreneurs, small businesses, and non-profits. Join us. interested in joining us? Call 401.453.1300 or complete to form below and we'll be in touch! Constructed in 2009, the Box Office quickly became an iconic building within Providence. 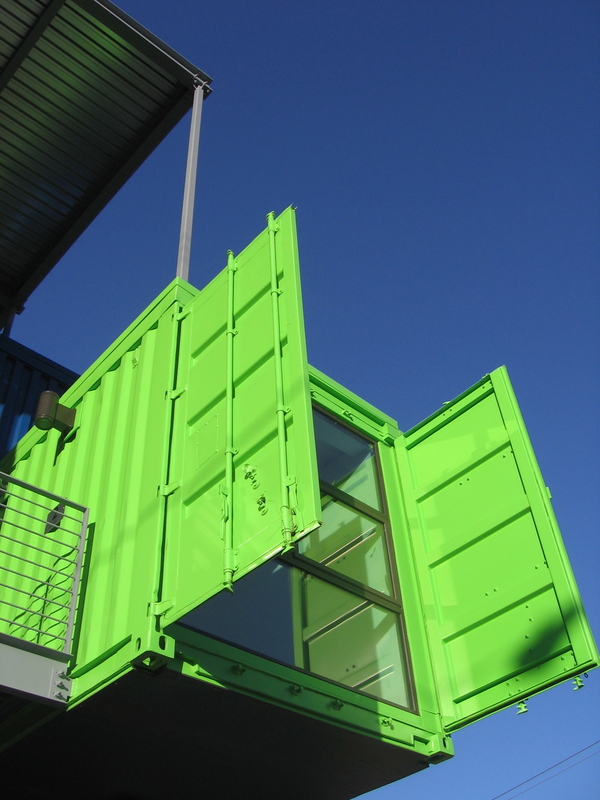 Conceived in 2007 by architect turned developer Peter Gill Case, designed by Joe Haskett of Distill Studio, and built by Stack +Co design build, the Box Office was the product of close collaboration between developer, architect, and builder. For more information about the Box Office or to inquire about office space, please complete the form below.